Retailer promotions are directly impacting the buying habits of 60% of UK consumers, according to new research. More people are shopping for gifts on-the-go for Valentine’s Day, as they turn to mobile devices for their shopping, according to new data. Alibaba is testing delivering online orders via drones for its Taobao service with a one-off, three day campaign in China. Amazon posted profits of $214m (£142m) in the three months until 31 December, down on the same period in 2013. 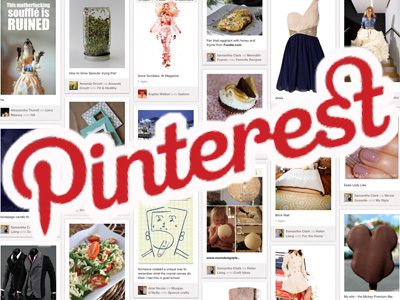 Pinterest plans to make more of its user data available to advertisers, as the social media scrapbook looks to further capitalise on its popularity. 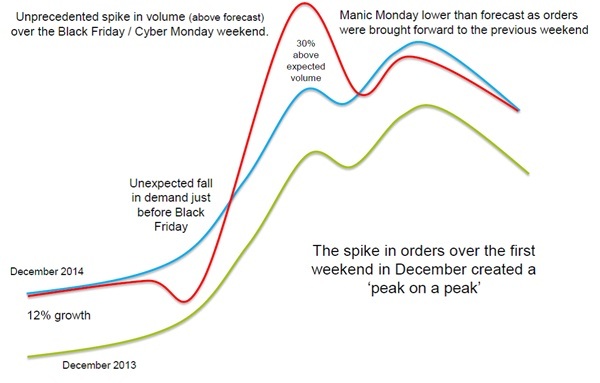 Parcel volumes performed as expected both for 2014 as a whole and over Christmas – despite a ‘tsunami effect’ on demand caused by exceptional sales activity over the Black Friday weekend, according to research. 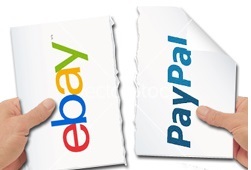 eBay is planning to cut 2,400 jobs in the first quarter as the online marketplace prepares to sell off its Paypal division as part of an efficiency drive.